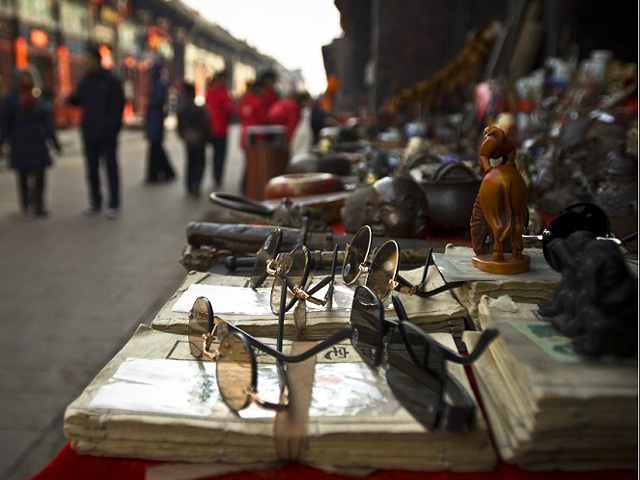 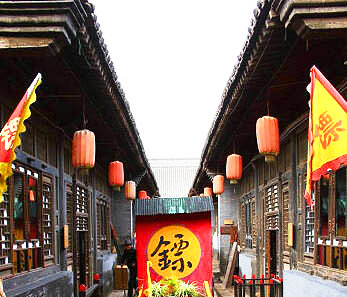 The City God Temple in Pingyao, also known as Cheng Huang Temple to the locals, is one of the most well preserved temples in China. 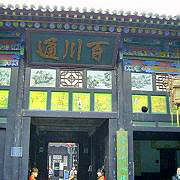 Covering a large area of space(total area of 7,302 square meters), the temple is famous for its long history and unique for its art form. 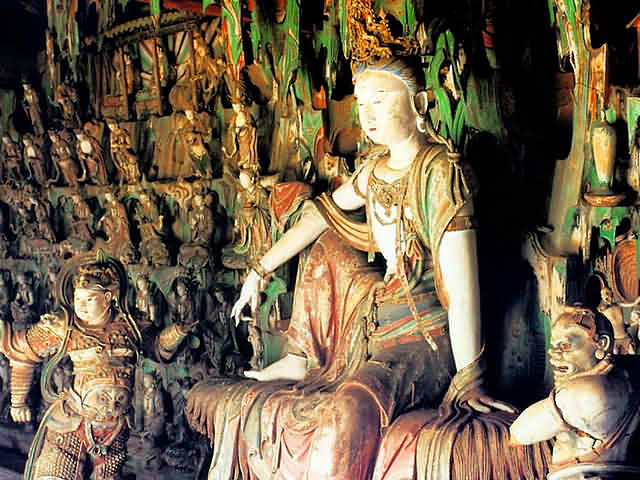 The temple is adorned with elaborate woodcarvings, stone sculptures, and beautiful mural paintings. 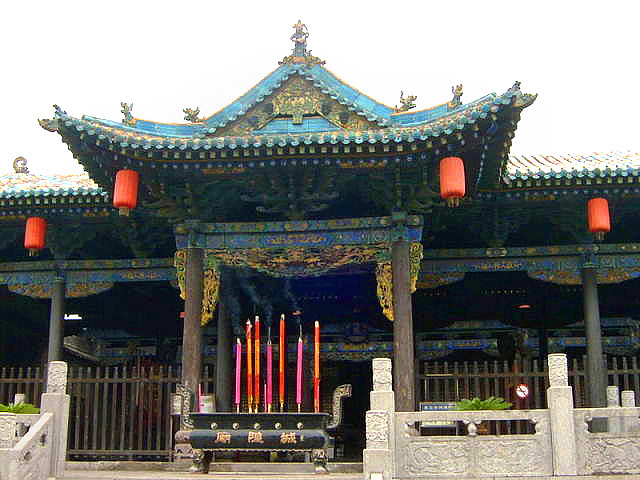 The roofs have a shiny blue and green glaze, adding to the magnificence and grandeur of the temple. 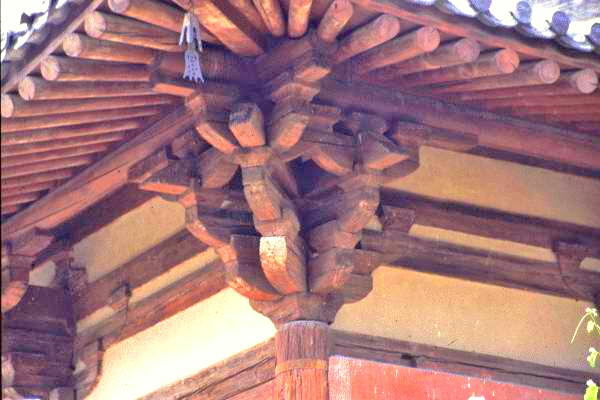 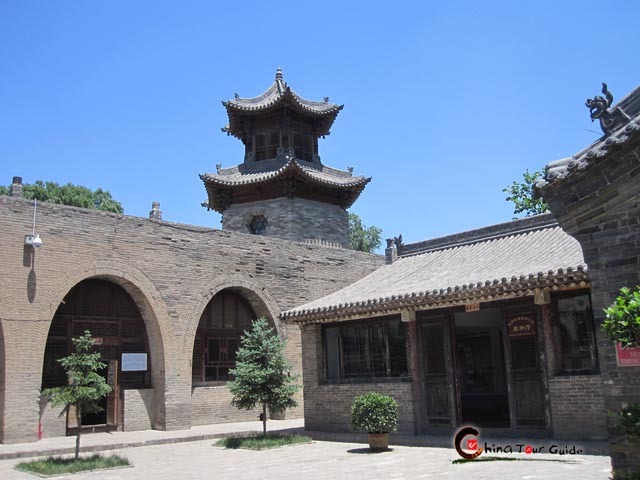 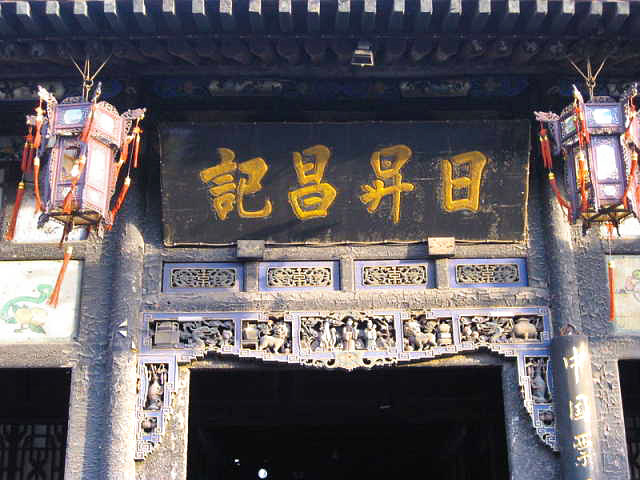 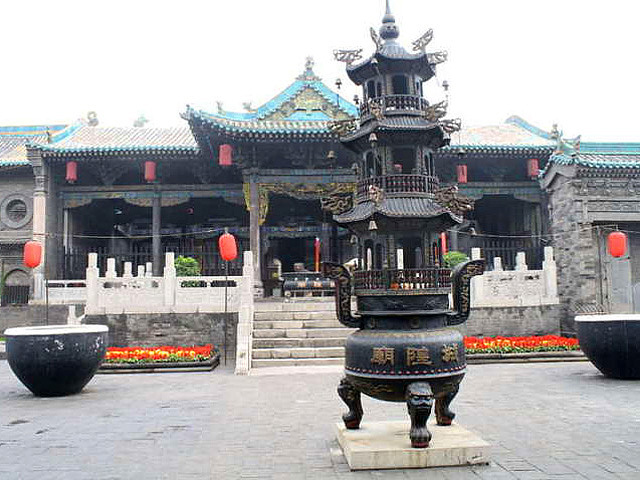 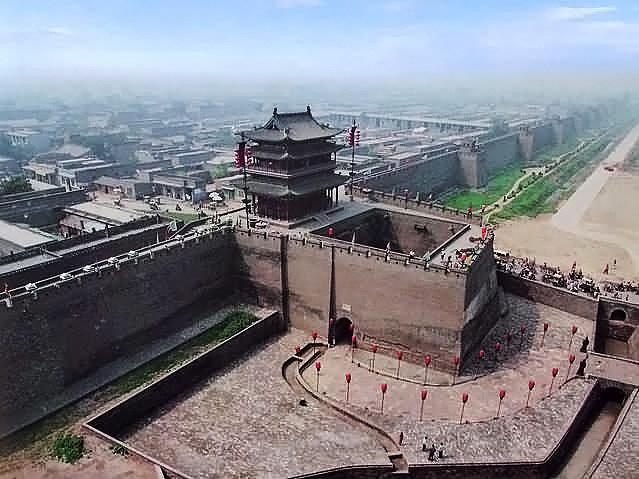 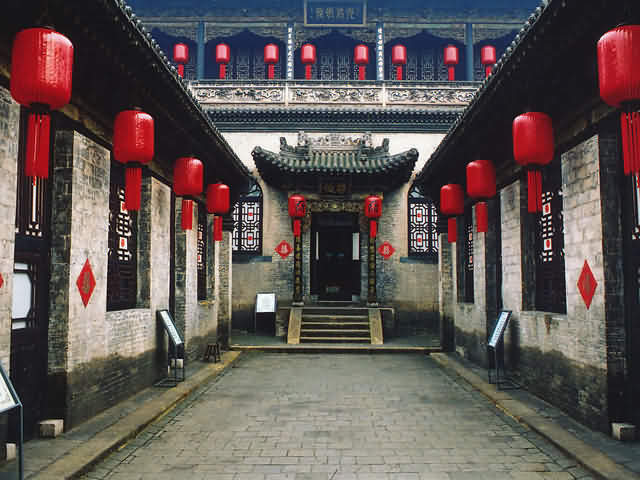 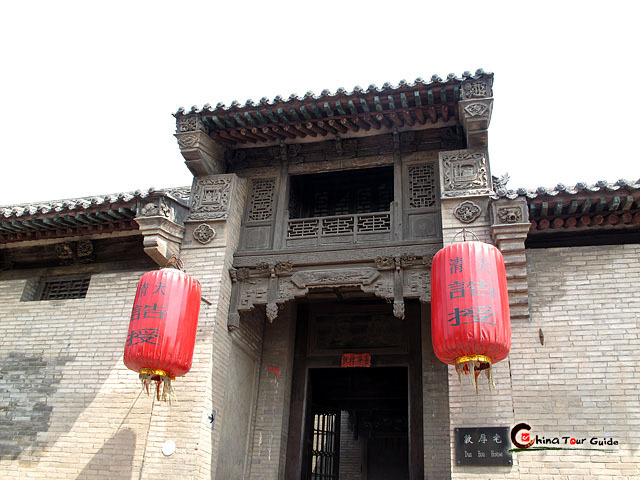 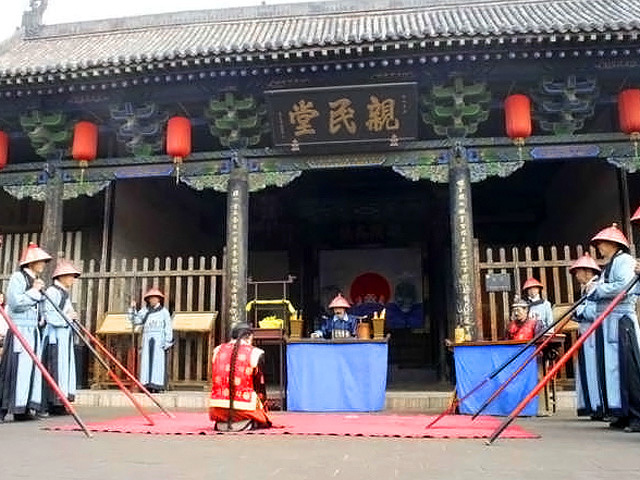 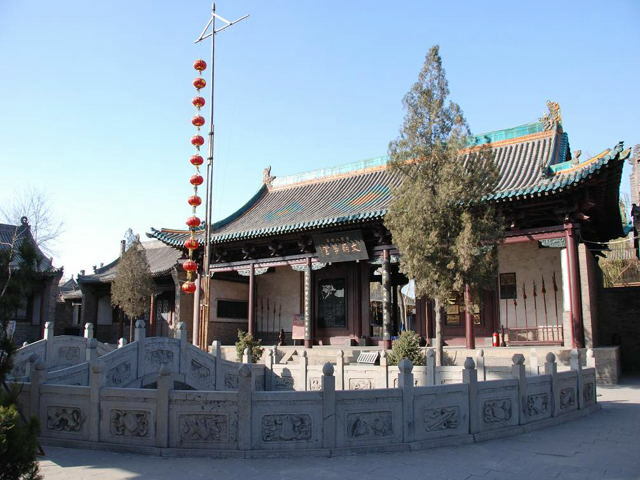 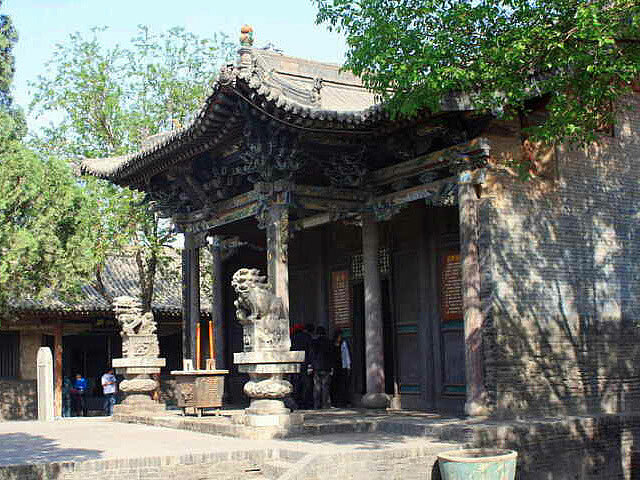 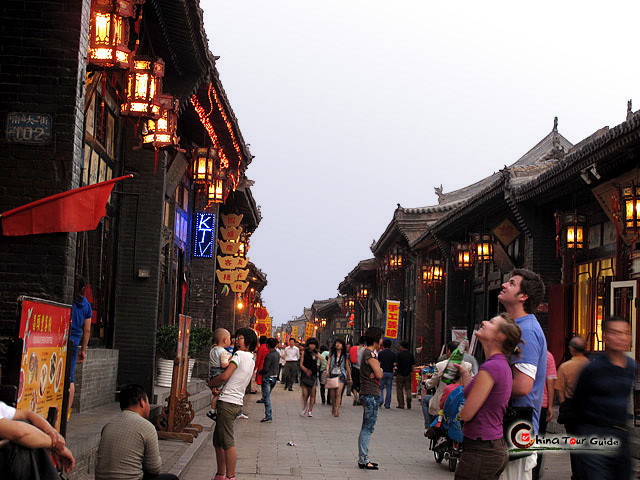 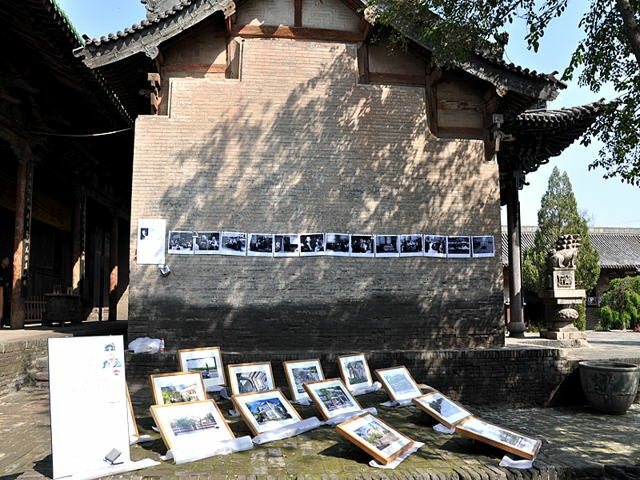 According to legend, the Hall of City God was the court for the gods, so it imparts a grandiose and serious atmosphere. 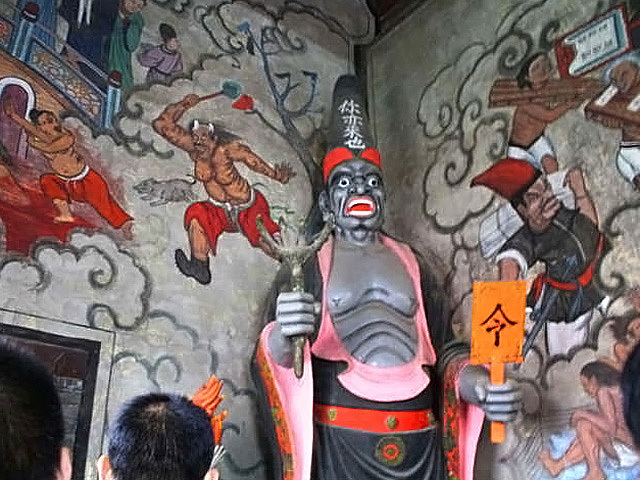 Right in the middle of the hall sits a large statue of the City God with statues of serious judges and ghost guards standing by his side.